Most women love shoes and for shoeaholics everywhere shopping for your wedding shoes should be almost as important as shopping for your dress. With photographers becoming more creative - there are plenty of opportunities to showcase your shoes! Dyeable satin fabrics and statement colourful shoes means that your shoes can be worn again and again after your big day. Now for the boring practical part of this post; think about the environment that you will be in and the length of time that you will be on your feet during the day. If you plan on dancing the night away until the early hours then it may be wise to buy a pair of flats too that you can swap into half way through the night. If you will spending most of your time walking around a grass field at your farm themed wedding then maybe avoid stilettos - or if you fall in love with the definitely consider investing in some Starlettos. My main suggestion would be to have some fun when choosing your wedding shoes - choose something that captures your personality and the theme of the day. There are lots of options out there for you so get scrapping, get on Pinterest and let the ideas flow! 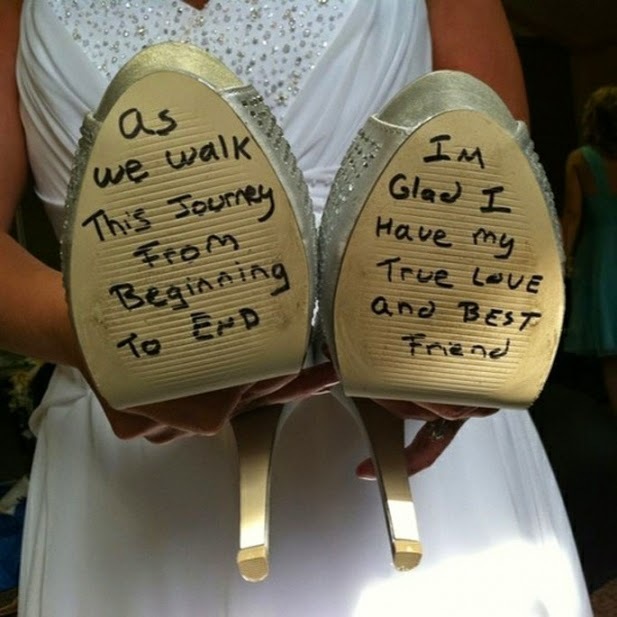 Most importantly make sure that you buy your shoes in time so that you can take them to your wedding dress fitting. If you are wanting the designer look wedding shoe without the designer price tag then take a look at the No1 by Jenny Packham range at Debenhams. 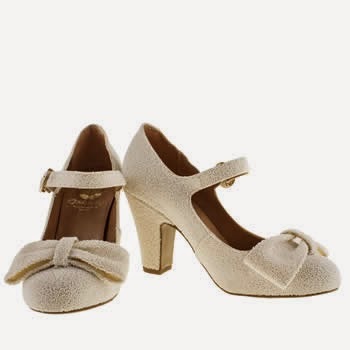 The range has a number of shoes with vintage style embellishments, luxurious fabrics and differing heel heights. Below are a couple of my favourite options. These are the gorgeous Luella jewel bow sandals from No1. by Jenny Packham. I think they look exquisite. They are available from Debenhams and retail at £95 a pair. Another pair of shoes from this collection that I love are the Designer ivory lace and jewel trim ballet pumps. 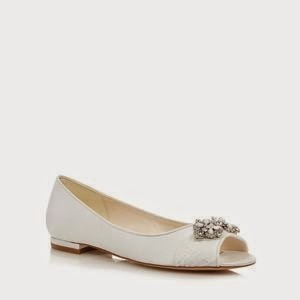 If you are looking for a flat shoe that still has that bridal elegance then this may be a good choice for you. These shoes are also available from Debenhams and retail at £59 a pair. BHS do a range of affordable wedding footwear. If you are looking for a more classic style and are looking to spend less of your budget on shoes then I recommend checking them out. They often have sales on-line so you can easily bag a pair of shoes for less than £20! 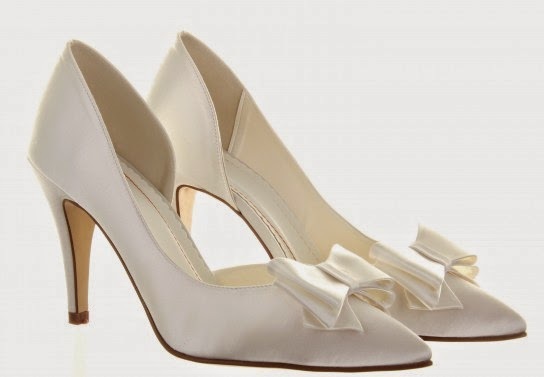 These Ivory Wedding Collection Sling-backs with Vintage Trim are currently on sale on-line and are on sale for £19.50! 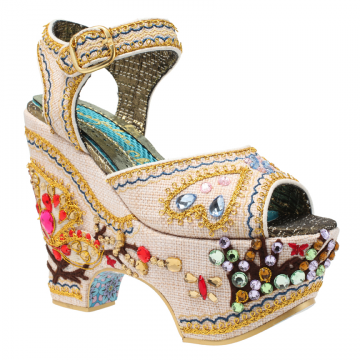 Irregular Choice (irregularchoice.com) have their own wedding range. If you are looking for some shoes that are quirky and fun then I highly suggest taking a look here. You can always look in their other collections for a more colourful fun shoe if you are wanting something brighter. I would also advise keeping your eye on their outlet site - letsbuyshoes.com - as you may find some great buys on here too. Irregular choice also have some shoes that go up to a size 9. 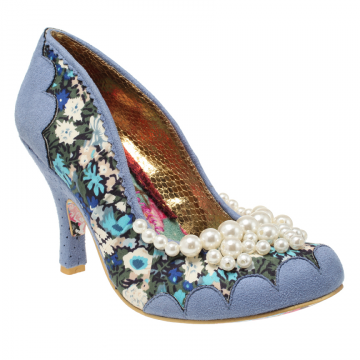 If you are still looking for your something blue then how about this pair of "Pearly Girly" shoes from Irregular choice. I love the cute pearl detailing around the edge and I think this compliments the blue paisley print fabric well. They retail at £74.99 and can be purchased from irregularchoice.com. Going for a vintage look? 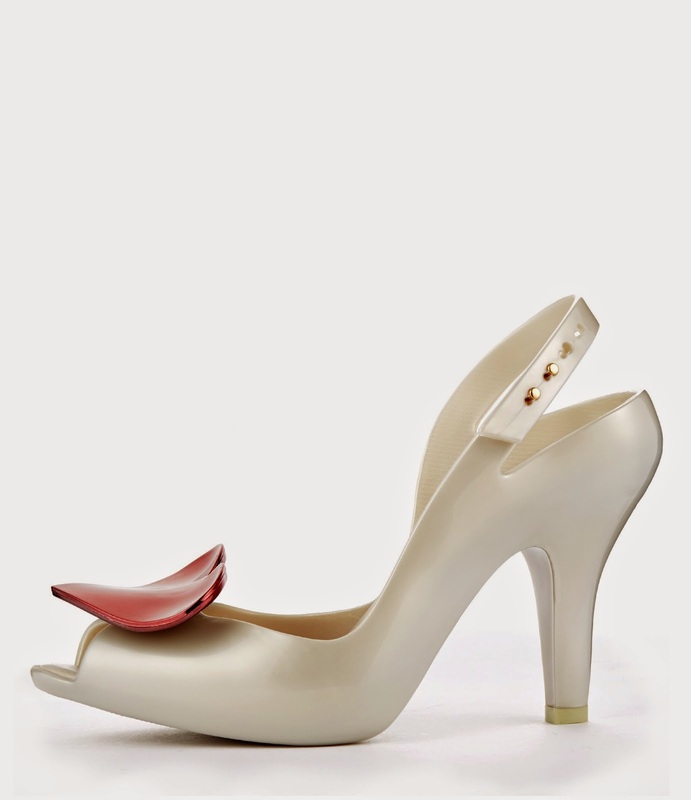 How about these stunning White Lady Dragon with Heart shoes from Vivienne Westwood. 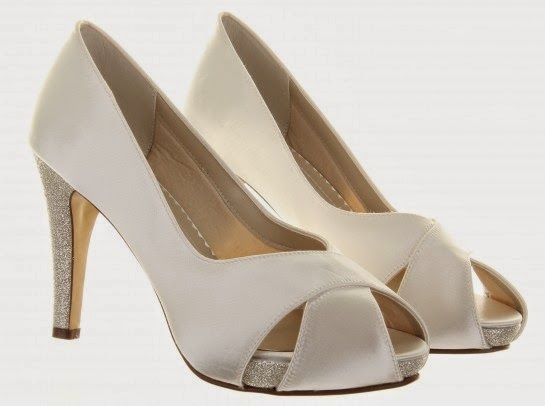 These shoes would look great with a fifties style short wedding dress. 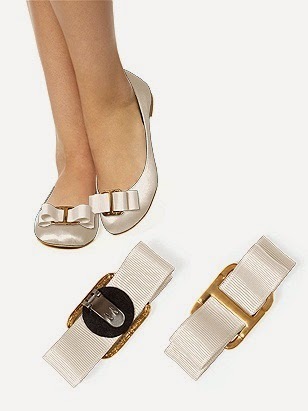 These peep-toe sling-back shoes with adjustable straps are quite reasonably priced too considering they have a designer name tag and retail at £150. Rainbow Club have a vast range of wedding shoes available that range in price - their main line is very affordable. 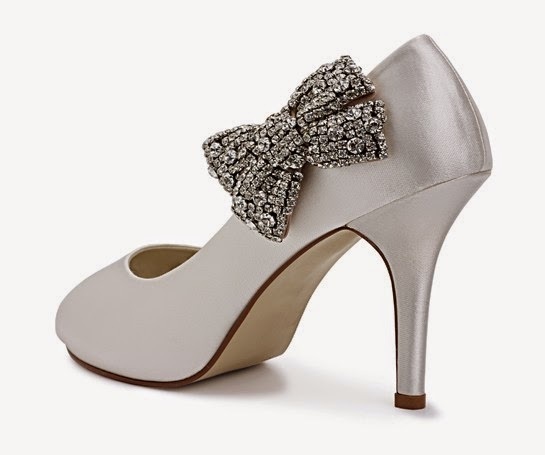 They have a number of styles, from sparkling glitter to classic satin bows through to diamanté detailing. Some of their shoes also go up to a size 9. See below for a couple of my favourite designs. I love these Safia Wedding Shoes. They are a platform shoe with crossover detailing that creates a peeptoe look. 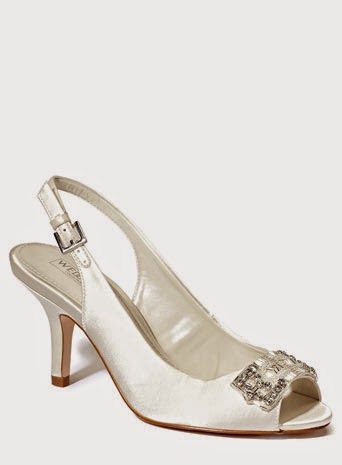 A sparkly shimmer is provided by silver detailing seen on the heel and platform. The shoes are available from rainbowclub.co.uk and retail at £89. I think that these Fiano shoes are simple and elegant. The bow detail is a pretty shape and I think that although these shoes a relatively plain compared to others they still make a statement. The shoes are available from rainbowclub.co.uk and retail at £49. One of my favourite retailers on-line for wedding shoes and accessories is Be.loved Bridal. Their shoes are embellished beautifully with stunning pieces of lace trim and appliqué embellishments. These vintage style lace wedding shoes are my favourite. I think they would look fabulous with a short lace vintage wedding dress. The shoes retail at £87 and are available from belovedbridal.co.uk. I would also recommend checking out their great selection of affordable bridal handbags. 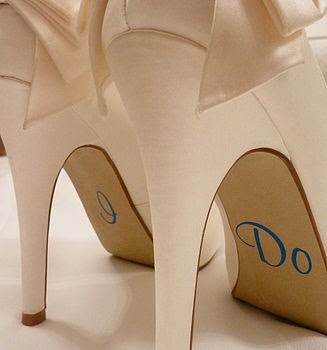 If only the Choos will do... Jimmy Choo has its own luxury bridal range. 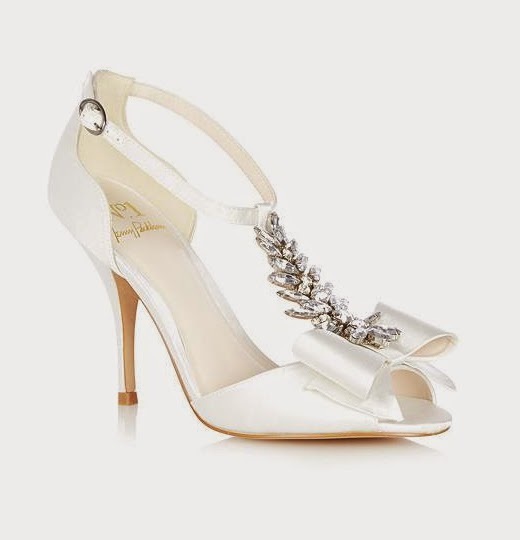 If you are looking to splash a bit more cash on your shoes for your big day then they have some beautiful shoes for you for consider.This pair of Ivory and White Satin sandals are called "Fable". They have a contemporary shape that is twinned with traditional luxurious lace fabrics and satins. They are a bit of a luxury at £595 a pair - but there really is not better excuse than your wedding to spend that much money on a pair of heels! 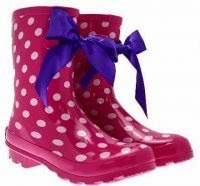 I think these Weddington Boots Wedding Wellies are great! They are available from thewellyshop.com. 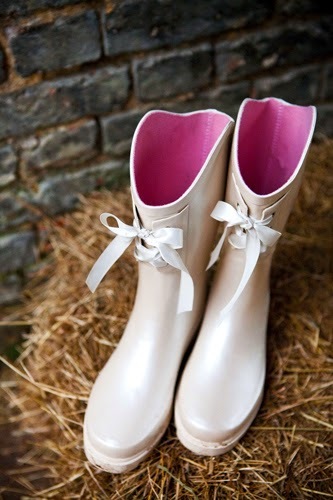 These cute ivory wellies are a great idea if you are getting married in the colder months. I think that they would provide a great photo opportunity for a newly married couple too. You can always use them after the wedding too - a very practical choice. These wedding wellies retail at £39.99 and are available up to a size 9. These rectangular shoe clips would add sparkle to a pair on wedding shoes. They are available from Dessy.com and retail at £14.